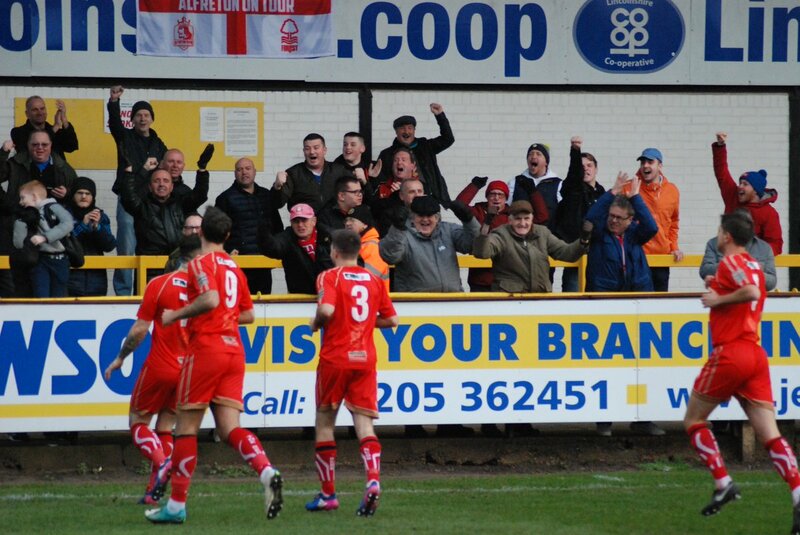 Next up for Alfreton Town in the National League North campaign is a trip to in-form Southport tomorrow afternoon, kick off at the Merseyrail Community Stadium is 3pm. After another excellent performance from Billy Heath's side which saw us claim a first ever win at Boston United on Boxing Day, the Reds will be looking to continue the good form on Merseyside tomorrow afternoon. Reece Styche's excellent 6th minute finish proved enough for us as we defended solidly throughout and also looked menacing up front. Luke Shiels and Reece Styche were in particular stand out performers on top of a fantastic away team performance. The change in confidence and momentum has been apparent since the 7-1 home defeat by Spennymoor which since then has seen Alfreton pick up four points from the last six with a draw against Stockport and the win at Boston on Wednesday. Alfreton will be looking to continue the excellent recent form and look for back to back league wins tomorrow afternoon as the Reds look to climb back into contention in the National League North. We head into the fixture having lost just one of our last five games in all competitions, Boxing Day's win at Boston extended our current unbeaten run in the league to two games. The Reds have lost just once in the last four away league games (Hereford 2-1) including winning our last two away league visits (Boston and Ashton). Southport currently sit in 15th place in the league table with 24 points from 20 games. Port currently have two games in hand on us after their progression the FA Cup second round and their current playing record stands at: P20, W6, D6, L8. Southport have won their last three games in all competitions including winning the last two league games against Ashton and Chester. The hosts are unbeaten in their last seven league games and will be looking for just their second league win of the season at the Merseyrail Community Stadium. Merseyrail Community Stadium, Haig Avenue, Southport, PR8 6JZ. The club’s small car park is for players and officials only. Therefore, supporters have to park in the surrounding streets. There are usually many spaces under a couple of minutes walk but watch out for parking restrictions around the streets. Home and away supporters will be able to use the off-road parking facilities at KGV College for a maximum fee of £2. KGV College’s car park is a short five minute walk along Scarisbrick New Road to the Merseyrail Community Stadium. Supporters can also use the on-road parking around the stadium, but these are subject to standard Sefton Council parking restrictions.